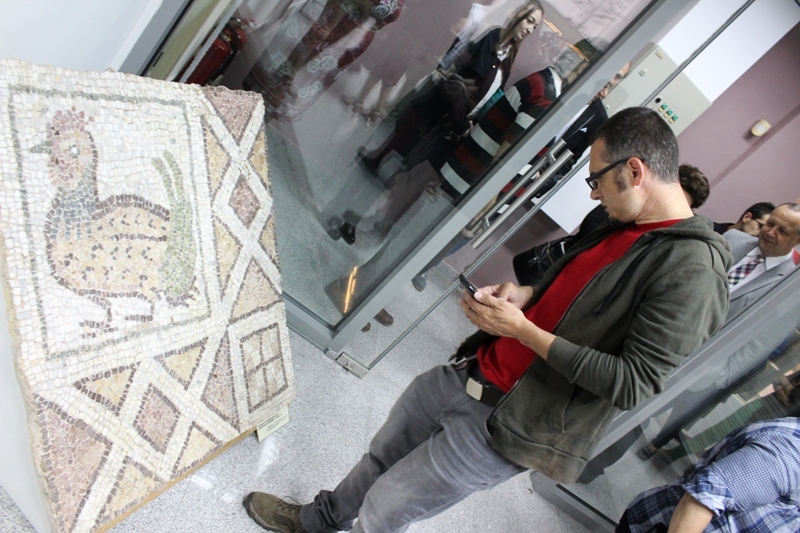 An exhibition of items from Plovdiv’s Episcopal Basilica, the largest early Christian basilica of its kind found on the Balkans and believed to date from the fourth to the fifth centuries, is on at the Regional Archaeological Museum in Bulgaria’s second city until December 30 2018. Items on display include fragments of mosaics, ancient coins, mediaeval jewellery, crosses, glass bracelets and an object with an inscription showing the name of Macedonii, one of the bishops of ancient Philippopolis. The Episcopal Basilica is 39m wide and 86m long, with mosaics of about 2000 sq m.
A total of 74 depictions of birds have been uncovered. The birds symbolise the souls of newly-baptised Christians. According to a report by local news website podtepeto.com, ornithologist Dimitar Gradinarov had identified seven of the species of the birds depicted.